obstructions as well as IED and ambush threats.” Yes, a flying car. By giving soldiers more flexibility, DARPA hopes that ground-based troops will be able to avoid an oncoming ambush by quickly taking to the skies in a vehicle capable of vertical takeoff and landing. A flying car could be the ultimate tactical advantage, allowing troops to take on the enemy where they least expect it. But we think the flying car could be important in the civilian arena as well, especially since the military plans to use lightweight composite materials, hybrid electric drive, and advanced batteries in the car. One day in the distant future, the hybrid car might allow us to ditch commercial aircraft for short flights. Instead, we could rely on low-energy flying electric cars to go the distance. This is all still in the pipe dream stage, of course. 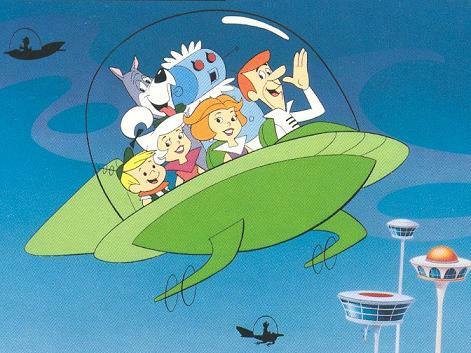 DARPA has yet to produce a design for the flying car, let alone a working prototype. But we’re still excited at the possibility. Air travel will almost certainly be curtailed in the coming years as traditional jet fuel becomes more expensive. Perhaps the flying car technology could lead us in an entirely new direction–one that up until now has remained in The Jetsons territory.